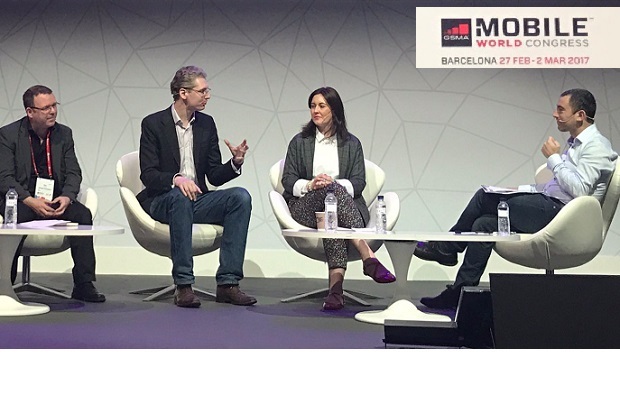 Mobile World Congress has become one of the biggest tech events in the digital calendar, and this year was even bigger, with robots, AI and old school Nokia’s stealing the show. Taking place every 12 months in Barcelona, the gigantic tech show is a chance for new gadgets to be unveiled and, in 2017’s case, a few reboots as well. Both Nokia and BlackBerry returned to the smartphone scene this year, with the former re-launching its iconic 3310 handset. The huge trade show takes place over two exhibition sites in Barcelona: the Fira Gran Via and Fira Montjuïc. In terms of size it might not hit the same scale as CES, but Mobile World Congress is still a massive event. In 2017, 108,000 people from 208 different counties attended the congress. Ultra-fast 5G has been hypes for a couple of years, but the technology is unilkey to reach consumers for a few years. At MWC, big hitters like Samsung showcased a 5G “home router” a “pre-commercial” product that will be used in Samsung’s upcoming 5G trials in the US and UK. 5G will genuinely be transformative — when it finally gets here. 5G can reach download speeds of up to 10 gigabits per second (that would be 1,000 times faster than the current US 4G average) latency of less than a millisecond; and support for a million connected devices per square kilometre. These specs won’t just let you download a full movie on your phone in seconds, but will also enable all sorts of services that need reliable, high-bandwidth data to work — everything from remote-control surgical robots to live-streaming VR footage. Samsung, AT&T, Ericsson, Verizon, Nokia, Sprint, Qualcomm, have all had news to share, but while these firms are making genuine steps forward with 5G, some of the language might make you think the technology is right on the cusp of being widely available. Although a full technical standard has yet to be settled, industry bodies have published general benchmarks for the new technology. But in terms of real progress, Korea Telecom is planning to have the first fully operational 5G network in 2019. Virtual reality (VR) headsets were front and centre, in a sign of the importance placed on the technology by the sector.Samsung unveiled several new innovations including a 360-degree virtual travel app designed to allow people to reminisce about past experiences. 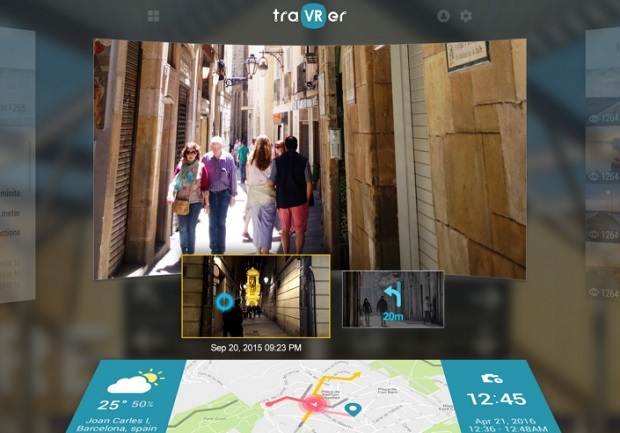 Lithuanian mobile app developers TeleSoftas showcased an app which allows business meetings to be held in virtual reality with avatars representing people in different parts of the globe. •	The need for headsets which limit it sue to in home/store/safe environment. •	Mobile devices are still not powerful enough to provide great expertise so some content like console games needs to be re-mastered to work on mobile. Also, if you trust the rumours, AR is becoming a priority for Apple so there might be big progress in this area coming in September. 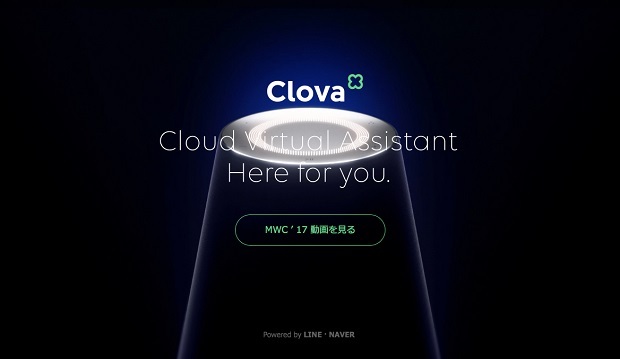 Japanese-based messaging app Line is developing its own digital assistant called Clova to compete with the likes of Alexa and Google Assistant, complete with its own line of smart speakers. Clova isn’t scheduled for release until sometime in “early summer” of this year, but Line views the platform, which is being developed with help from Sony and LG, as the next logical step for its messaging service. The platform will include the sort of features you might expect from a digital assistance in 2017 like easy access to news, weather, calendars and online purchases, but Line is also promising Clova will be able to handle “complicated questions” and include a facial recognition aspect similar to Apple’s rumored iPhone features. The rise of machine learning is being used in all sorts of interesting ways. At the Verizon stand, visitors could watch on as two cars drove around a mini race track. Image tracking technology was able to recognise the difference between the two vehicles, and as such could monitor and predict if there was going to be an accident or close call between them. 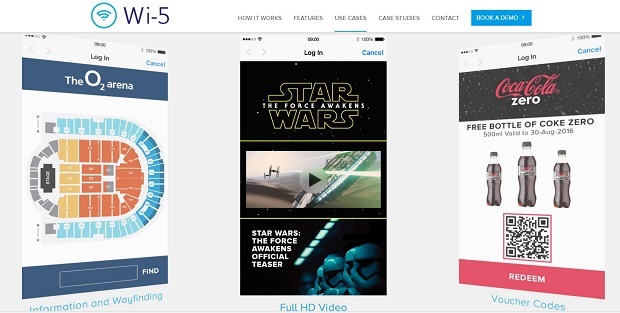 Wi-5 – an end-to-end mobile engagement software solution that was on show at 4YFN, a digital start-up event that takes place alongside MWC, highlights just how effective AI can be in the live event space. The tech is equipped to capture real-time data about visitor behaviour – such as dwell times and preferred features of an event – as they interact with a stand or event space. There are so many different touch points from the beginning to the end of an event, so being able to capture that data and asses it on the fly is an incredibly powerful tool, as it means we can adjust our experiences in line with attendee behaviours. AI certainly will be big in the future but it’s not yet “intelligent”, at the moment it is simple can use simple machine learning for relatively simple tasks (like superfast multivariate testing). The good thing is it is a priority for many companies so hopefully there will be a healthy competition in the AI market and using it will not break marketers wallets. Eliptic Labs attended MWC to show off their new presence detection technology (called “Inner Peace”) The technology is expected to be integrated into smart assistants.The technology uses the smartphone’s speaker and microphone, as well as ultrasound, to identify the gesture of moving your phone up to your face. Removal of the sensor means more space inside the device — allowing for different designs like the Xiaomi Mi Mix. Inner Peace is based off the same technology, and Elliptic Labs is aiming it primarily at Amazon’s Echo and the Google Home ecosystem. The software can be programmed to detect if a home’s occupants aren’t moving, or it can be set up notify users of possible intruders in their home. What’s key is that smart home devices can switch off when they do not detect someone nearby — potentially saving users some money on energy costs. Inner Peace uses ultrasound to enable a “360-degree dome field of view,” and it has no line-of-sight needs. It works in the dark as well but hopefully it will not drive your dog mad (as they can hear ultrasounds)! Several phonemakers showed off new smartphones with batteries that can last longer and be charger faster. 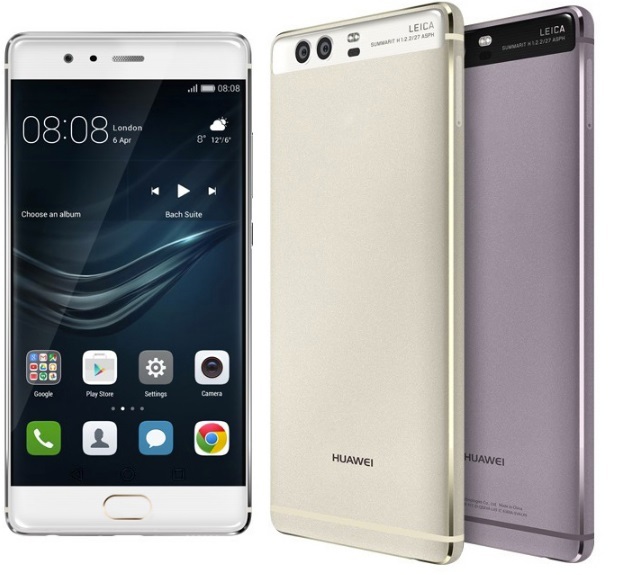 Huawei, the world’s third-largest phone maker after Apple and Samsung, said its new flagship device, the P10, features a 40 percent boost in battery life. The battery also features “super charge” technology that promises a full day charge in just 20 minutes. Blackberry’s new devices which bring back the brand’s iconic physical keyboard, have the brand’s biggest-ever batteries. They also feature a “boost mode” that allow you to get a a 50 percent charge in roughly 36 minutes. Drones and robots were everywhere at this year’s trade show. At Korea Telecom’s stand, two robotic arms played the drums, varying the songs throughout the day. Japanese firm SoftBank drew crowds with its human-like robot Pepper which can be employed in shops to greet customers and demonstrate products. Meanwhile Barcelona-based Pal Robotics displayed two humanoid robot models. The fair set up a special “drone zone” for the first time to demonstrate their use in the delivery of goods to remote areas or aid to farmers by surveying crop growth. Back from the technological wilderness, Nokia has rebooted the iconic 3310. Released in 2000, the original Nokia 3310 sold 126 million units worldwide, making it one of the world’s best-selling mobile phones. 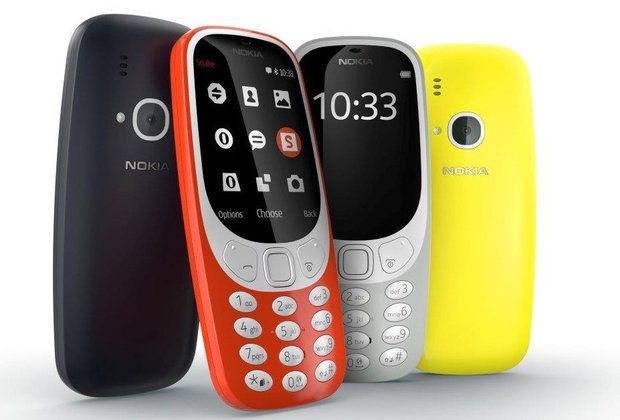 Now HMD Global, the Finnish company with exclusive rights to market the Nokia brand has released a revamped version of the classic phone. Another brand from the bygone days has also made a big splash at MWC 2017. BlackBerry has licenced its name and appearance to Chinese company TCL Communications. The result is the new BlackBerry KeyOne. The new KeyOne, which runs on Google’s Android operating system, features both the touch-response screen of a modern smartphone and a keyboard – similar to that of the firm’s most popular devices. As well combing a 4.5-inch screen with the keyboard, the KeyOne features a 12-megapixel rear camera and quick charging technology which enables the phone to charge to 50% in around 36 minutes, BlackBerry says. Apple tends to stay away from MWC, instead using its own events to promote its products, meaning that Samsung is the biggest brand at the Barcelona event. No word of the Galaxy S8 yet, but Samsung did use MWC to reveal its rival to Apple’s iPad Pro. It’s called the Galaxy Tab S3, has a 9.7-inch display and a 4K-capable resolution. The tech giant also revealed a new hybrid device called the Galaxy Book, which comes in two screen sizes – 10.6 and 12 inches – runs Windows 10 and is equipped with a keyboard folded into the case to replicate a laptop setup.